Dr. Timothy S. Jarvi, M.D. Graduated from Wayne State University School of Medicine in 1992. Dr. Jarvi then completed a surgical internship at St. John Hospital in Detroit, Mi in 1993 which was immediately followed by an opththmaology residency at Cook County Hospital in Chicago, Il. Upon the completion of his residency in 1996, Dr. Jarvi returned to Detroit for training as a Corneal Fellow at Kresge Eye Institute. Dr. Jarvi is certified by the American Academy of Ophthalmology and has been in private practice in the Petoskey area since 1997. Optometrist Debra Denton is a experienced provider of primary optometric care for patients of all ages. An expert in contact lens fitting, she also provides routine eye exams, and manages pre- and post-operative medical patients. Dr. Denton, a proud Petoskey native, is a graduate of Ferris State University's Doctor of Optometry program, and has been practicing in northern Michigan for 14 years. 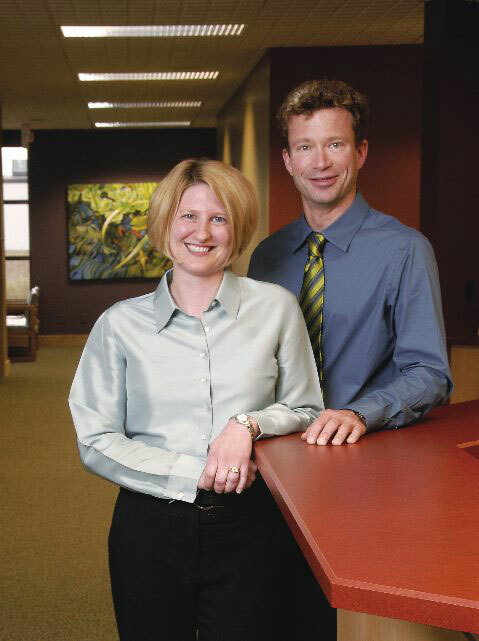 Coming from a career in commercial art/advertising and a lifetime interest in medicine and medical illustration, Liisa Morley has been on staff with Dr. Jarvi since he began his practice in 2002. Always keeping in step with the dynamics of this growing practice she has became credentialed as a Certified Ophthalmic Assistant, a Certified Ophthalmic Surgical Assistant, a Certified Intradermal Cosmetic Technician, and recently, a Certified PCA Skin (trademark) Technician. Liisa brings her expertise and professional approach to surgical scheduling, Permanent Cosmetics (tattoo), Pelleve (trademark) Skin Tightening, and aesthetic skin peel and mask procedures. She looks forward to helping you “See and Look Your Best”. Our lead optician Terri Ann Comps is an expert who brings almost 40 years of experience in ophthalmology and optical patient care to SPECS. Optician and lab technician Wendy Kandt has been producing and dispensing eyeglasses in northern Michigan for more than 25 years.